One of the main hurdles of dentistry is that there are areas of your mouth that you, of course, cannot see. We're able to much more thoroughly acquaint ourselves with your mouth than you are, and we feel that's not exactly fair. After all, if you could see inside your mouth the way we could maybe you'd have less dental issues. Maybe you'd be able to understand more clearly your current dental status and what, if anything needs to be changed concerning your cleaning regimen. So, as an effort to level the playing field, we offer you the opportunity to see inside your mouth in as much detail as we can, using intraoral cameras. They'll provide you with an educational experience you'll never forget. Intraoral cameras are about the size of a pen and can easily be moved around your mouth by your dentist or hygienist. As the camera moves you'll be able to see what it sees on a TV which you can comfortably view from your chair. You might be surprised to find how big a difference being able to actually see inside your mouth can make. Using the images captured by the intraoral camera the dentist can point out problem areas and explain what he feels should be done to correct them. For some, actually seeing their dental problems firsthand might be a bit difficult emotionally, but we feel it's worth it. We want our patients to be as informed as possible as to any problems they might have, anything they can do to combat them and any procedures we feel might ultimately be necessary. The intraoral camera is a great way to help patients understand their situation. 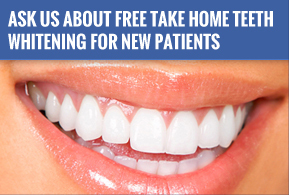 So if you don't want to be in the dark anymore concerning your dental condition, we are proud to help you. Understanding a problem is the first step to recovering from it.